DALLAS -- DSC is honored to host NRA President Oliver North as the Saturday night banquet speaker during the 2019 DSC Convention, Mogambo: Dagga Boy Danger. The banquet will be held Jan. 19, 2019, in the Omni Dallas Hotel Dallas Ballroom at 6 p.m. Register now to attend. 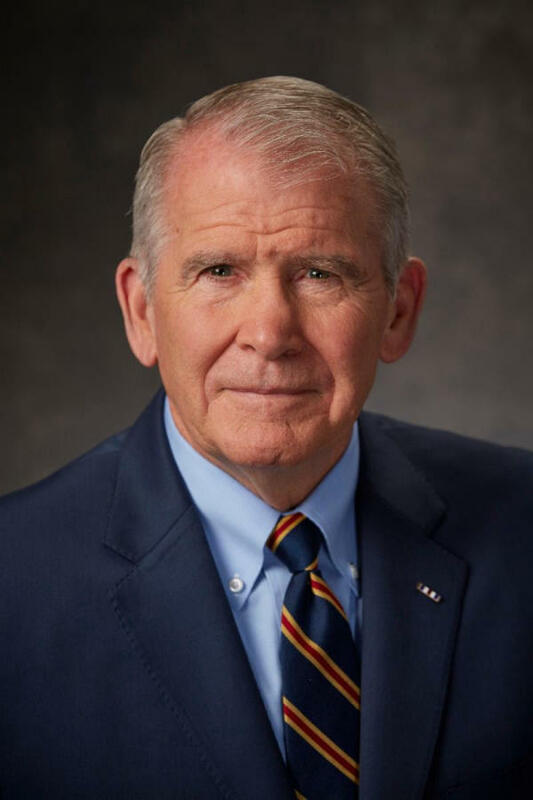 "We at DSC are excited to announce that Lt. Col. Oliver North, current president of the National Rifle Association and true American hero, will be the keynote speaker at the Saturday night gala and auction during the 2019 DSC Convention, Mogambo," DSC President Karl Evans said. "Col. North can speak about protecting and preserving our hunting and firearms rights from a unique perspective, and we look forward to an inspiring speech." The retired Marine Lieutenant Colonel is combat-decorated, No.1 best-selling author, founder of a small business and holder of three U.S. patents. For 17 years, he was a syndicated columnist and host of "War Stories" on Fox News. In May 2018, North retired from Fox to serve as the 66th president of the NRA. North was born in San Antonio, Texas, in 1943, graduated from the U.S. Naval Academy in 1968 and served 22 years as a U.S. Marine. His combat awards include the Silver Star, the Bronze Star for Valor and two Purple Hearts for Wounds in Action. From 1983 to 1986, he served as a counter-terrorism coordinator on the NSC staff. He helped plan the rescue of the U.S. students on Grenada, the capture of the Achille Lauro hijackers and the raid on Muammar Gaddafi's terror bases; after which he was targeted for assassination by Abu Nidal. President Ronald Reagan described him as "an American hero." North has been acclaimed for award-winning coverage of U.S. military units in the War on Terror and his Freedom Alliance College "Heroes Scholarships" for children of service members killed or permanently disabled in the line of duty. Yet, he says his greatest achievement is being "husband of one, father of four and grandfather of 17." For more information, visit www.biggame.org. DSC Foundation is a non-profit corporation organized under section 501(c)(3) of the Internal Revenue Code of 1986, as amended. DSC Foundation serves the mission of DSC to conserve wildlife and wilderness lands, to educate youth and the general public and to promote and protect the rights and interests of hunters worldwide. Learn more about DSC Foundation at www.dscf.org.